Nobody wants to move from their own home to a nursing home. It’s demoralizing, degrading and difficult to acknowledge that one can’t care for him/herself anymore. However, it’s often necessary for the person’s well-being. It’s about their safety – Make sure to constantly frame the move as something in their interest. Don’t waver — avoid concessions. You should only express genuine concern that moving them is for their protection. There are no other options – Be ready to explain why in-home care is financially unfeasible or why moving into your house is a bad idea. Have the details – Before you speak with your loved one, you should have done some research on nursing homes, and you should have a couple good places that you can show them. Be positive – Keep the mentality that moving your loved one will be a good experience for them. For example, they won’t have to clean the house anymore; they will have more friends around them; they won’t have to worry about getting down the stairs, etc. 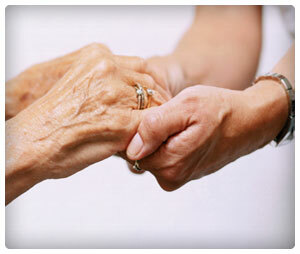 Once you have your family member on board, it’s time to figure out how you will move them into the nursing home.